Supperclub LA offers a great option for patrons looking for a taste of vintage nightlife with a modern twist. Friday, August 28th features music by deejay DERWIN MCROTH, 10:00pm to 2:00am. From the aerialists, dancers, and world-class deejays to monthly-themed decor and attentive staff, Supperclub LA nightclub is the place to party. It is a visual and sensory experience like no other. Furthermore, Supperclub offers the best bottle service experience in Los Angeles nightlife. Supperclub is where the ordinary bottle service becomes an extraordinary bottle experience! And when it comes to the perfect venue for a special occasion or private party, what better way to celebrate these events than at one of finest dance clubs Los Angeles locals prefer. Supperclub LA serves up an eclectic night out marked by generous dollops of flamboyance and flair. Decadence is the name of the game. Kick off your weekend clubbing night out at Supperclub LA. Fridays at Supperclub are arguably the best open format music nights in California. Based around the concept of nostalgic indulgence, LA club guests are strongly encouraged to lose themselves to remixes of your favorite pop, rock and hip hop deejays. Supperclub LA nightlife features avant-garde art performances, Cirque DU Soleil inspired acrobatics, aerialists, contortionists and laser light shows. Prepare for a visual and sensory experience like no other. Supperclub LA is the playground to celeb-infested parties packed with famous film stars and music moguls. VIP table reservations are prime nightlife real estate inside Supperclub. VIP tables (beds) are available to the few who know bottle service is always best. For guest list and bottle service reservations, contact Jamie Barren (310-749-9029). When you feel like taking a break from all that dancing and partying, you can check out the bar for a wide selection of menu to satisfy your hunger. 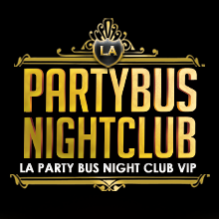 Just make it a point to reserve a bottle deal to bypass the hassle of reserving a spot at this top-notch night club in Los Angeles.